On October 20th (yesterday) my most anticipated book of the year was released: “Career of Evil” by Robert Galbraith. The first two chapters were released early in audio format, so I listened to them on Monday in preparation for downloading the eBook at midnight. To cut a long story short (and it was a rather long story), I devoured the third instalment in the ‘Cormoran Strike’ series, making it my 53rd read of the year and the 2015 Reading Challenge (#65 A book written by an author using a pseudonym). 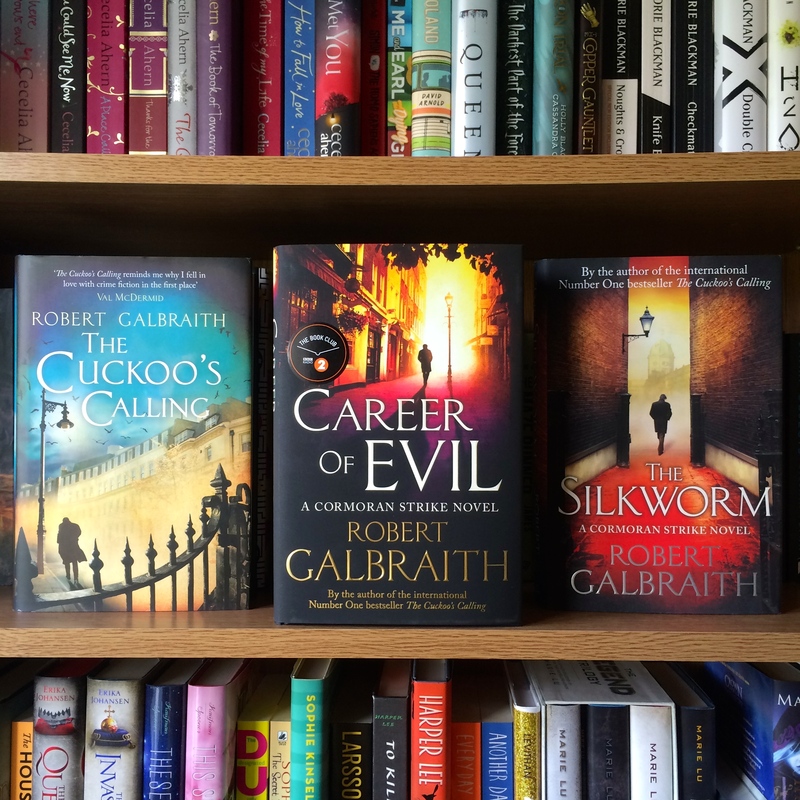 “‘Career of Evil’ is the third book in the critically acclaimed ‘Cormoran Strike’ series by Robert Galbraith (more commonly known as J.K. Rowling). The reader is thrown straight into the action, with the book commencing in 3rd person with the psychotic murderer reflecting on his recent kill. The book then switches to the more commonly used view of Robin (although still in 3rd person), Strike’s assistant/partner in (uncovering) crime who is sent a mysterious package via courier. This package turns out to be the gruesome beginning of the journey to uncover the murderer of London based women. The reader is unaware of the murderer’s identity, and the novel follows Strike and Robin’s journey around the UK collecting evidence on the three men Strike believes could be behind the killings. There is an undeniable parallel between this modern day murderer and Jack the Ripper – this novel is shocking to the core. We also learn much more about the characters we have grown to love in the first two instalments: including Robin’s grisly past, as well as Strike’s mother’s addictive nature and subsequent death. The pace at which this novel progresses is excellent, with equal balance given to the crime itself and the character development, which encompasses a hugely pivotal role in this volume. What I’d really like is for someone else, anyone else, to finish reading this book so that I can discuss it at length with them – that’s the problem with reading books promptly upon their release! I did enjoy the plot of this book more so than the second instalment, ‘The Silkworm’, as it was so much more emotive, however my favourite in the series still remains to be ‘The Cuckoo’s Calling’ – Rowling’s first foray in the crime genre. Enjoy – it’s a rollercoaster, but I definitely do not ship Strobin! That might be true, but I absolutely abhor Matthew.